DirtyGirl Disposal provides container services along the Rte. 90 corridor from Boston to Springfield, as well as along the Rte. 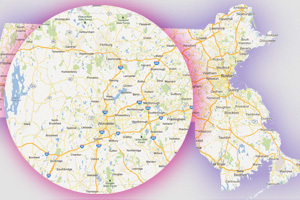 2 corridor; from Lowell to Athol; extending south, from Southbridge to Franklin. Our containers comply with all federal and state environmental policies. 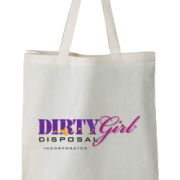 Their purple color, a water-based, environmentally-friendly paint, is reserved specifically for DirtyGirl Disposal. Please contact us for current rates. Additional charge for locations 15-30 miles and for overages. 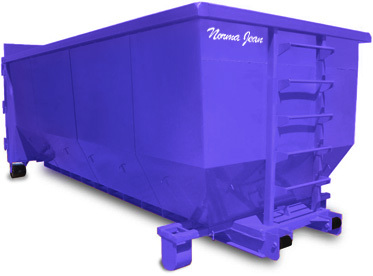 For up to 1.5 tons of residential debris and for up to 2 tons of construction/demo debris. (RO-1448, 15-yard, 14 ft. long, 4 ft. high). Contact us for rates. For up to 4 tons. Contact us for rates.